Life is beautiful. It may not be perfect but it is indeed beautiful, and hardships and challenges make it more beautiful. The feeling when we have surpassed a problem or unfortunate situation is one of the best feelings we could have. We cannot appreciate the beauty of life and the happiness it brings if we will not experience pain and difficulties. Problems are normal, but what's important is that we should never give up in life because our God and faith is bigger than any problem in the world. Remember, problems always have a solution and giving up is never one of them. RULES. 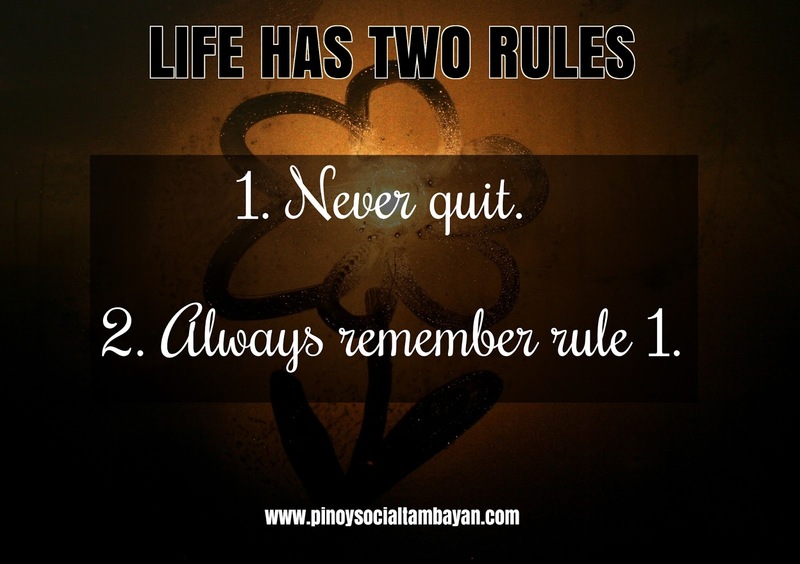 Life has two rules: Never quit and always remember to never ever quit. 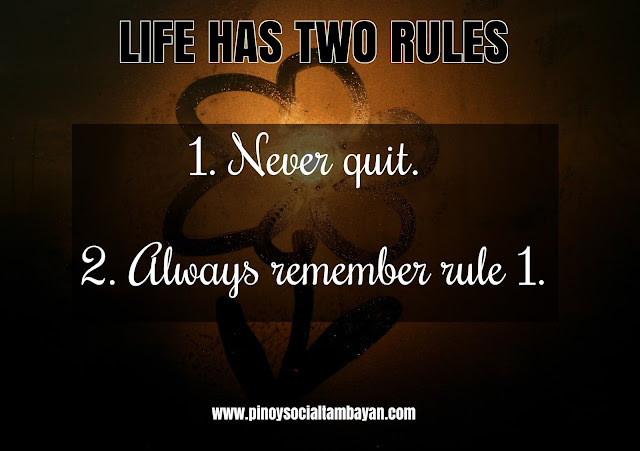 We must win at life every day and in order for us to win at anything, quitting should never be an option. We must learn to stand still, be strong, and face every trial and hardships that life may serve. Life is an everyday fight and that my friends, we must learn how to be tough and tougher each and every day. BETTER LIFE. 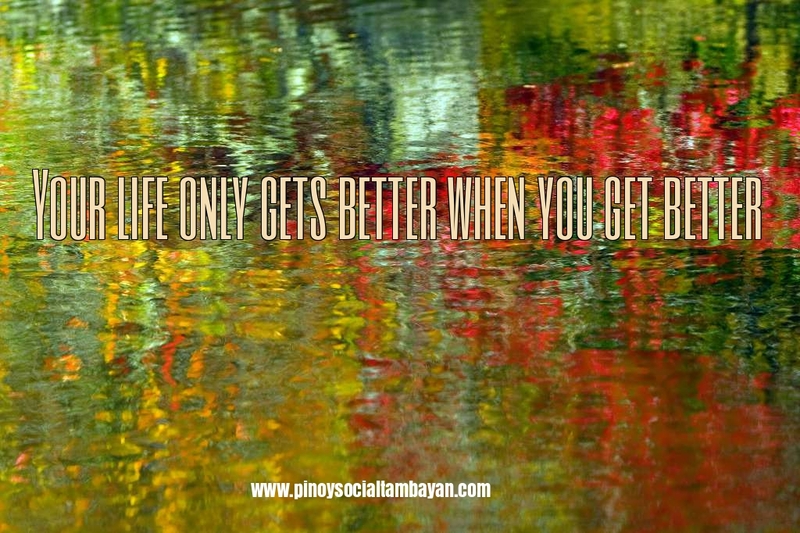 Your life only gets better when you get better. You are the captain of your life. Whatever you do, whatever decisions you make, makes up your life. Bad decisions lead to nothing but lessons learned and right ones lead to something good. Your life depends on you with God's guidance. So for you to have a better life, it must all start from within. Strive each day to be a better person than yesterday and you will slowly see changes in your life. SHORT LIFE. 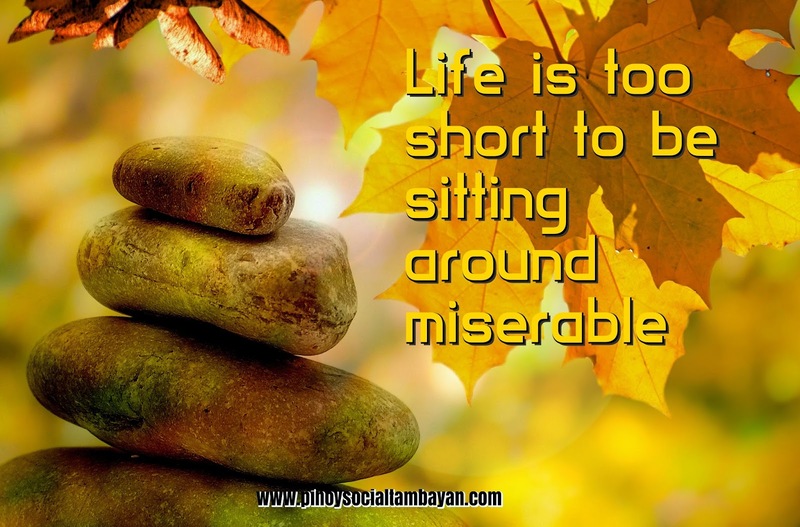 Life is too short to be sitting around miserable. We do not know how long will we be staying here on earth; so as much as possible, we must always aim to be happy and be away from any stress. Time that has already passed will never be changed anymore, so make every second count. For more Inspirational Saying About Life, feel free to visit and follow our Official Facebook Page https://www.facebook.com/phquotestagalog/ and our Official Twitter Account @PinoyQuotes365 . For more Pinoy Quotes, Love Quotes, Jokes, and Hugot Lines visit us again here at https://www.pinoysocialtambayan.com/ and at our Facebook Page and Twitter Account.